It’s not hard to find a personal trainer; walk into any local gym and you’ll likely have plenty to choose from. So why are so many people turning to the Internet for exercise guidance? And more importantly, is it as safe and effective as in-person training sessions? Get more content like this in our newsletter. Sign up now! Yet there’s one important thing that an online personal trainer lack: physical contact. Can you really train someone—check form, provide motivation, and prevent injury—if you’re not there with them? 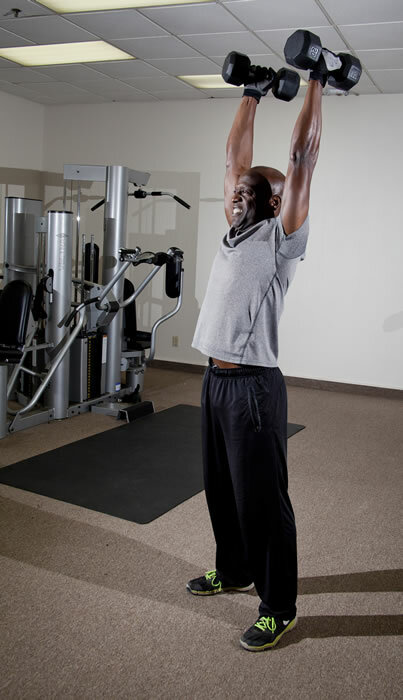 Carlfred Giles, an online personal trainer, speaker, and blogger of IGETITIN Fitness and founder of www.igetitinfitness.com, says he has to make an extra effort to ensure his clients are getting the workout they want. Shop the IGETITIN Fitness for great specials and discounts on IGETITIN Gear….SHOP NOW! “I compensate through constant communication via email and phone calls,” says Sarah Clark, an online personal trainer, running coach and blogger. “I write up a weekly schedule for each client and ask that they provide me feedback at the end of the week detailing how it went. The more feedback I get from them, the more effectively I can make up the following week’s schedule for them,” she says. The million-dollar question: Are the results as good as what you would get from a real-life trainer? Sarah takes it one step further, saying an online personal trainer can be even better in some circumstances. “The effectiveness relies a lot on how motivated the client is to achieve his or her goals—and that would still be a factor when working in-person. Online training can have some extra positive effect on motivation because I’m always just an email away for support and will regularly check in with clients or drop them a line with a motivating thought or quote for their day,” she says. As someone who has tried both in-person and an online personal trainer, I think there are definite advantages to both. If you’re a beginner or someone who enjoys face-to-face interaction and/or a set structure, in-person training is probably best for you. But when you require extra expertise, an online trainer is a great way to make your investment last a lot longer. Have you tried online training? Leave a comment and tell us about your online personal trainer experience.